Temple Run 2 has just received an update that effectively ties it with the National Football League, whose current season is already in full swing. 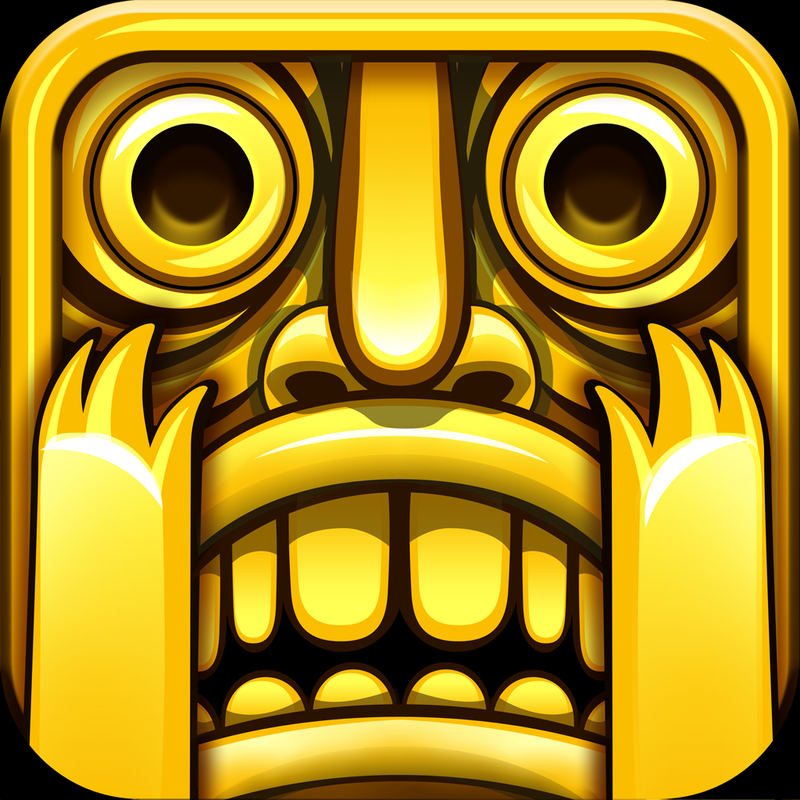 Released in January last year, Temple Run 2 is, of course, the sequel to the original and seminal Temple Run endless running game created by Imangi Studios. Let’s play some football!!! 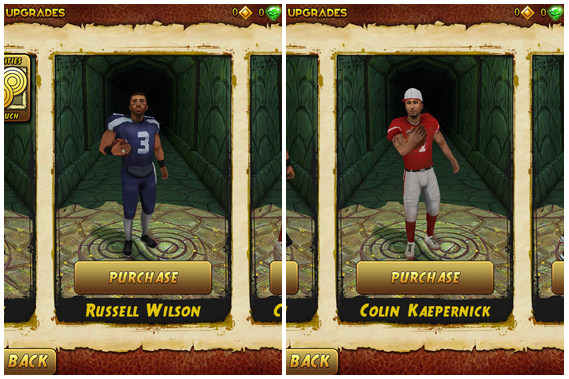 Take the idol and escape the temple as your favorite Pro Football Player! Football players available for a limited time only. Pick up the first down while you can! Show your support by downloading your favorite player and helping him win his weekly head to head matchup! Many new players coming this season, so check our Facebook and Twitter page for all the updates! Want to escape the Evil Demon Monkey as YOUR favorite player? Let us know who you want to see! 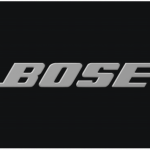 As noted by Touch Arcade, the first two featured footballers are NFL quarterbacks Russell Wilson of the Seattle Seahawks and Colin Kaepernick of the San Francisco 49ers. They can be unlocked via in-app purchase for $0.99 each. To be sure, though, they’re not the first guest stars in Temple Run 2. The very first was none other than the fastest man ever, Usain Bolt, whose likeness was added to the game as a playable character in August last year. 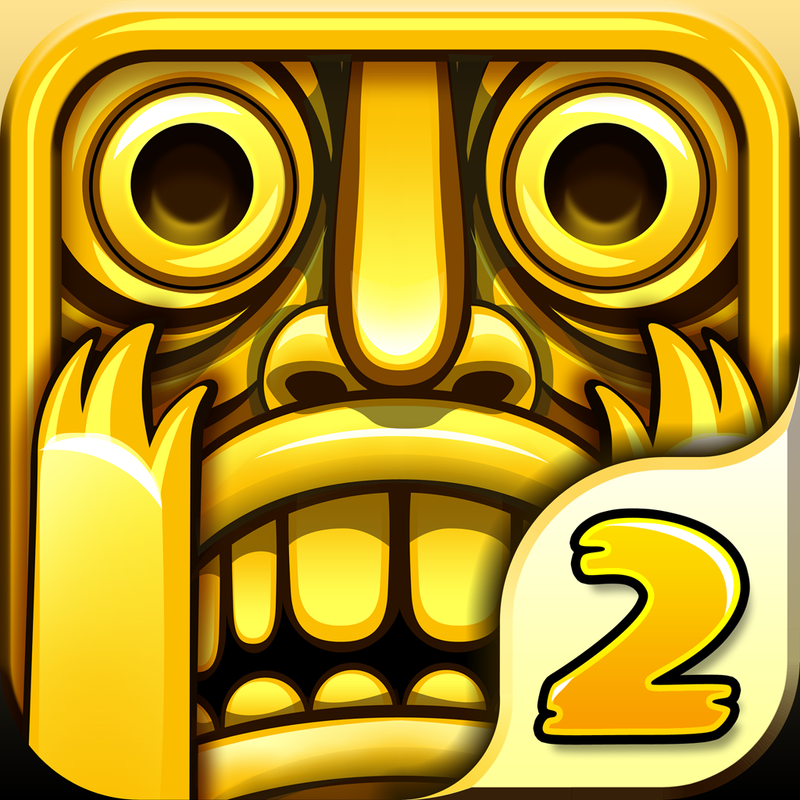 Compatible with iPhone, iPod touch, and iPad, Temple Run 2 is available on the App Store for free. See also: The Trip is a trippy endless running game based on a Vimeo Staff Pick, Monsu offers monstrous fun with combination of endless running and card-collecting, and Official running game based on ‘The Maze Runner’ sci-fi movie arrives on iOS.